ขอบคุณและอำลา - Thank you and goodbye! 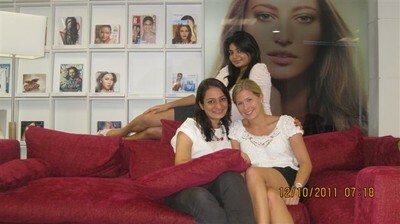 My time working for Oriflame here in Bangkok has come to its end. This has been a great experience and I highly recommend applying for this internship. Oriflame is a great company to work for if you are aiming for an international career in a dynamic environment where a fast advancement is possible. I value the people I have met here, the experience of having worked in an Asian country and to be familiar with the company and industry highly. 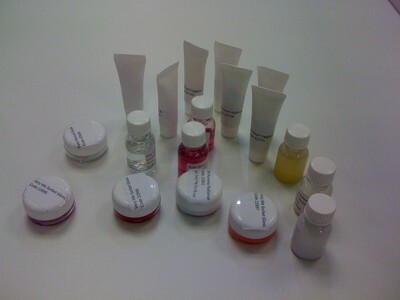 Before new products are launched the pricing and forecasting teams have a meeting when we try and smell them, in order to be able to do accurate pricing and sales forecasting. I enjoy these meeting since you really get a feel for new products (except for the packaging) and it is fun to reflect upon what could be popular in the different markets. Shaking your head from side to side is a visual way to communicate to the speaker that you understand what they are saying or that you agree. Other things that I appreciate when hanging out with them is to listen to Indian pop music during lunch, to taste their homemade food and to chew their refreshing fennel mix after lunch. 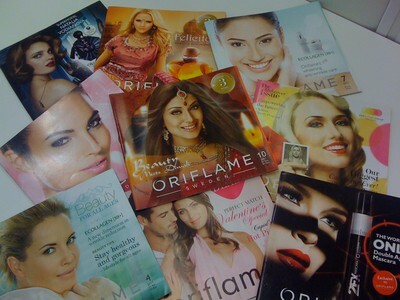 Since Oriflame is a direct selling company the catalogues are the most important marketing tool and a lot of time and energy is spent on making them. 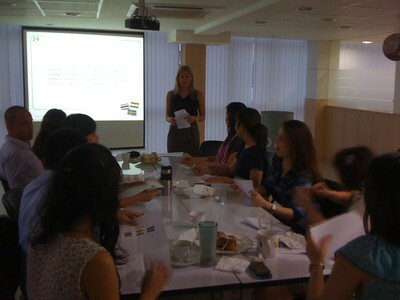 There is a division here in the Bangkok office working only with catalogue themes, design and development for Asia. In general 13 catalogues comes out every year in most markets and it is important that they are customized for the different countries and cultures. Below you can see some catalogues for India and the one in the middle is for October focusing on Diwali, the big Indian festival of light. 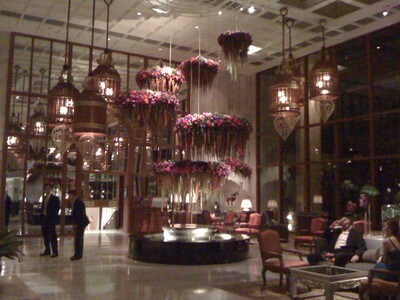 In the evening I went for dinner at the Mandarin Oriental Hotel with Caroline and Erik who is the Market Director of Sri Lanka. The place was magical and the restaurant was right by the river, I was amazed by the fairytale looking lobby. We have had a big meeting here in the regional office called QPS (Quarterly Planning Session) to discuss processes and strategies for pricing, forecasting, catalogue planning and catalogue development. People working in these areas in different Asian markets have come here and we have all learned about each other’s work and talked about what can be improved. 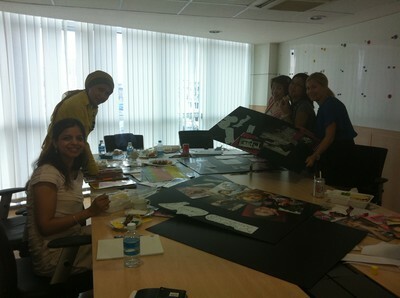 One part of these meetings was a workshop where we were divided into teams and we were all supposed to come up with three catalogue themes for 2012 that had a “WOW” effect. I was working with Sharmili (marketing director in India), Ella (forecaster in Indonesia), Kesarin and Ratchanee (both forecasters in the regional office). Our results were “I am every women” highlighting that Oriflame has skincare products for all skin types, “Turn back time” focusing on the time reversing skincare range featuring a discount equal to your age and “Hollywood glamour” which is a classic. In total twelve themes were presented and hopefully this could give the catalogue development and design team some inspiration. 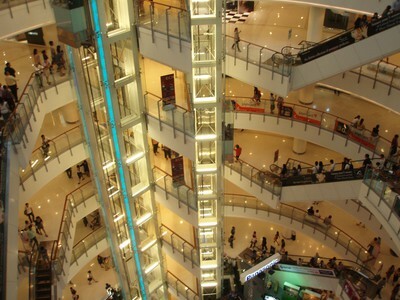 They sure know how to build malls in this city and people sure know how to shop! 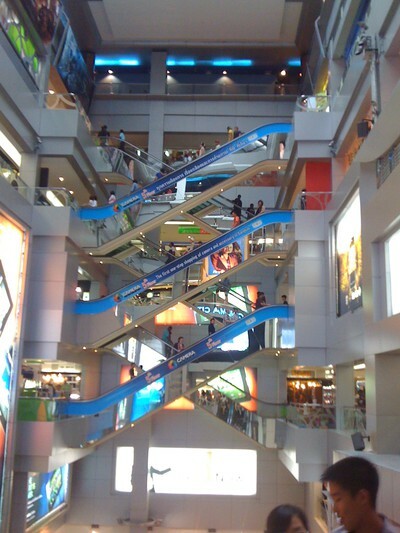 Some of the big malls are Siam Paragon, The Emporium, Platinum, MBK, Central World, Siam Discovery...and yes, I have been to all of them! As mentioned the team consists of Thai, Indians and Swedes and despite the fact that collaboration and everyday work runs smoothly it can sometimes be helpful with some team building exercises. The cultures in these three countries are very different which can sometimes cause misunderstandings, therefore a workshop was dedicated to this that I was responsible for. 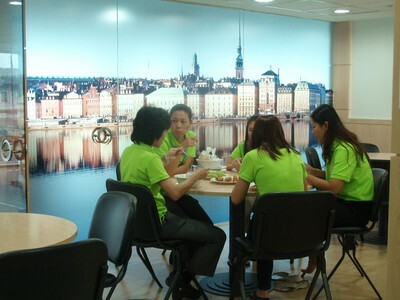 The event started out with a traditional Swedish “fika” and I found some cinnamon buns at a mall, they did not really taste like traditional Swedish ones and they overdid the frosting but that is as close as you get here in Bangkok. Then it was quiz time and you will find an example below, can you guess what statement belongs to which country? 1. 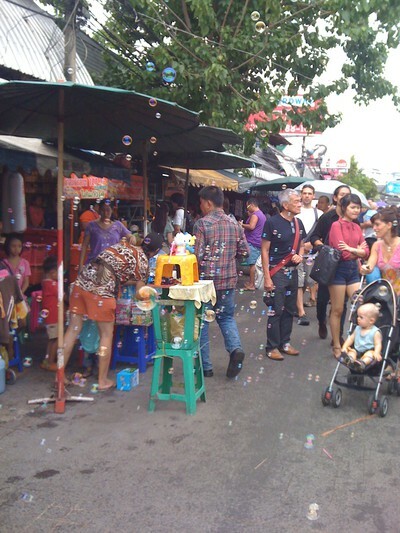 In general, people from this country are open and friendly, and compared to many others, have a lesser sense of privacy. 2. Heated debates are very unusual at business meetings. Unlike the situation in most other countries, this business culture strongly favors compromising. 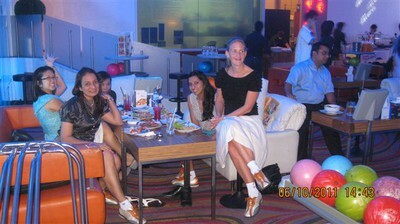 The day continued with everybody trying to learn some Hindi, Swedish and Thai and later we went for bowling and dinner! 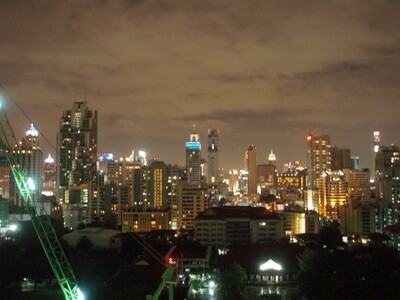 After almost two months here in Bangkok I sometimes forget what a cool world city this is. The view from Harmeet’s apartment usually reminds me. 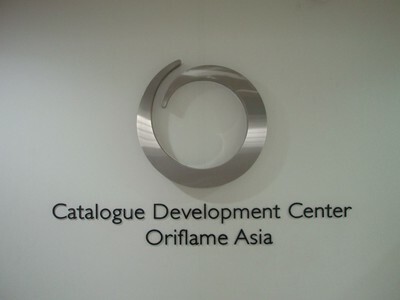 This is not only the regional office for Asia but also the local office for the Thai market and also where Oriflame consultants go to pick up products to sell. There are always a few people in the lobby who are here to pick up their orders. 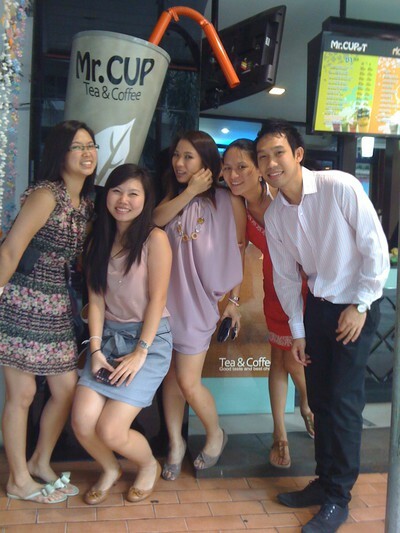 Today I went out to eat with my co-workers Bang, Kesarin, Cake, Yam and Winona. They really know their way around Bangkok and we went to a nice little restaurant by the University where I had fried chicken and plum juice. 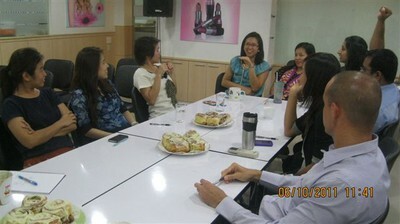 We had a nice time talking about their recent weekend trip to Chiang Mai. 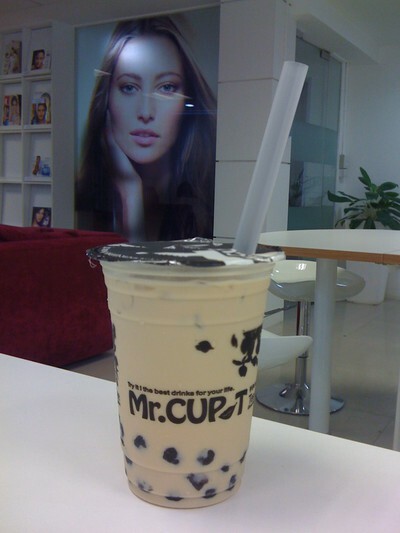 Afterwards we went for a mandatory stop at MR Cup where we all had sweat tea with milk and jelly to keep us energized back at the office. 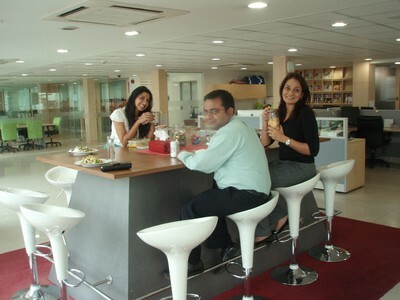 Lunch really is the time to get to know the people around you! Popularity of products varies a lot depending on the market, can you guess what lipstick shades are bestsellers in India VS Vietnam? 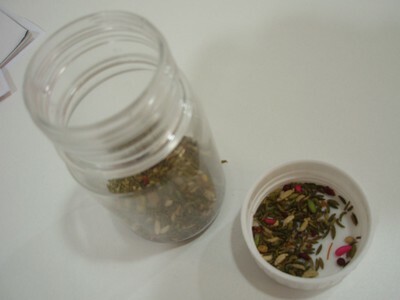 On the Chinese market light powder, feminell products and deo’s especially the ginger and lime scent is very popular. In many Asian markets skin whitening lotions are very well-liked. 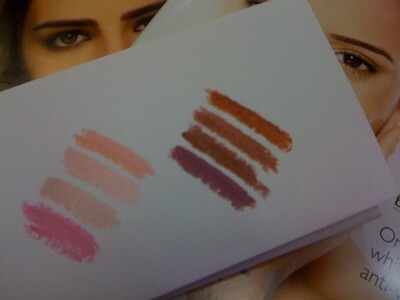 However, bronzing powder is not launched in many Asian markets. In India eyeliner is a best seller but mascara is less fashionable.